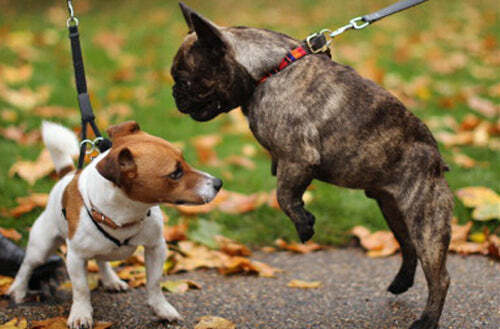 Reactive dogs are very common and can often be confused with aggression. Reactive dogs can be as simple as barking when they hear a simple noise, to lunging at a child on a skateboard. It can seem as though you have no control over the situation but there are many things that can be done to get past this type of problem, so contact us today to get started! Picking the right trainer and training program can be difficult and frustrating, coming to us first will eliminate the need to look any further. Our goal is to help you and your dog reach your potential without any miscommunication. We understand that dogs need clear communication to be able to become the well-mannered dogs in society that we need them to be and as a National K9 School for Dog Trainers graduate of the master trainers course we are prepared to take on any problem large or small that you might have. Specializing in rehabilitation and separation anxiety, we are prepared to take on the difficult cases. Being a graduate from the Animal Behavior College we are also able to specialize in obedience training from basic to competitive. We are here to train your dog to not only be respectful of everyone and everything but to do so on a loose leash! Call us today for more information!